Washington DC and New York: TIMA-live studio and satellite uplink. 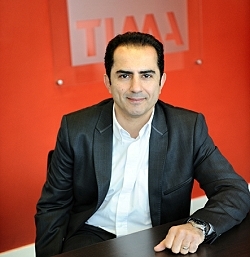 Washington DC, October 2015: TIMA – The International Media Associates – is celebrating the third anniversary of its Washington DC offices. The global facilities and content services provider launched from the US capital in October 2012, premiering its services in the run up to the re-election of Barack Obama. Since launching its Washington bureau, TIMA has covered other landmark events from the city, both from the studio – with its roof top view of the White House for live positions – and from key locations across the city. The wide-ranging breaking news and feature stories covered for international clients have included the US presidential elections and the inauguration, Camp David summits, White House press briefings and special events, and state visits to DC. As well as unrivalled live positions and studios, TIMA’s Washington bureau has 5,500 square metres of fully-equipped workspace for journalists and producers, and editing facilities and a master control room. Satellite and fibre circuits connect TIMA studios across the US to London and to South America – including studio facilities and logistical support, to broadcasters and online publishers. In addition to this, TIMA’s new Flydrive satellite uplink unit can be deployed quickly to breaking news and special events across Central and South America. Alongside its own global facilities and content services, TIMA also provides enhanced location services in partnership with Reuters – the world’s largest international multimedia news agency. Reuters-TIMA Location Services launched at the 87th Academy Awards ceremony in Los Angeles in February 2015. As such, TIMA’s Washington bureau is part of a network across the US which includes Reuters bureau in New York’s Times Square and TIMA’s dedicated UN facility, also in New York. In Washington, the combined forces of Reuters and TIMA provide access to locations that include The Pentagon, Capitol Hill, White House Lawn and Press Briefing Room, IMF and the World Bank. 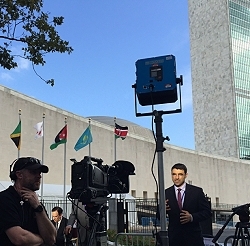 Reuters-TIMA recently covered events for international clients from their Washington and New York offices, including the papal visit to the US and the 70th United Nations General Assembly. Reuters-TIMA are also preparing for 2016, when they will be offering live facilities to broadcasters and online publishers in the run up to and duration of the United States presidential election.